On January 16, 2007 I received a “double ring” from my classroom phone. You see a “double ring” meant and outside call. I remember saying to my colleague who was eating lunch with me, that I was frustrated that the office secretary would send a parent call back on my lunch break. I answered the phone “put out”, but on the other end was not a complaining parent but our social worker. Her words to me brought me to instant sobbing. “Johnelle, this is Mary Brown, do you want to pick up your baby girl tonight or tomorrow?” Needless to say, at 7 p.m. that evening I was holding my beautiful 2-month old daughter, Makenna. We knew that through all the pain and struggle this is what God had intended for our family. I really thought that this was it…..2 kids, a beautiful home, great jobs……but God wasn’t finished with our family tree. You see, He planted a seed in me and for the first time in my life I was certain beyond a shadow of a doubt that this is where He wanted us. In the Summer of 2011 I really began to long to adopt internationally. I had shared this with Scotty, but at that time he wasn’t sure and thought we should pray about it. My feeling continued to grow stronger so I began to look into agencies. Scotty was on a mission trip and I began to call and get a feel for agencies. I called a few and didn’t feel that connection. Then I called All Blessings International and spoke with Lucy, the director. Immediately, I knew this was the agency for us. This wasn’t a business to her, it was a passion. While talking with Lucy, I had a made a comment that we were an older adopting couple and that my husband was older than me. She said—“Have you considered Haiti?” I told her no we were thinking about Ethiopia or China. She shared with me the qualifications for adopting in Haiti and told me to check out the ABI website and get back with her about our thoughts. After our conversation, I got on the website and took a look at some of the Haitian photo listings. My heart stopped…..my eyes were looking at a beautiful infant girl named Julie and her story broke my heart. Julie’s mother had lost her home, her job and her husband to the earthquake on January 12, 2010 and now was unable to meet the basic needs for her precious little girl. January 12th is my birthday. I thought, “Ok God what are you saying.” Immediately after getting off the site, I went to Facebook and my cousin, Julie just posted about adoption and how God has called us to take care of them. At that moment, I knew God had used Lucy, baby Julie and my cousin Julie, to confirm that Haiti was indeed where God wanted us to adopt from. I made a call to Scotty on the mission trip and we began the process to adopt from Haiti. This journey has truly changed our lives. 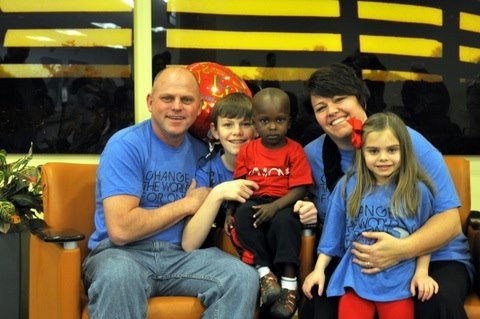 We traveled to Haiti 3 times during the process to adopt Wesly. This country is devastating and beautiful all in one glance. On March 2, 2013 we arrived home with Wesly. Now most people thought that our family was complete and even for Scotty and I –we felt like it was. However, when God is in control of your life sometimes the things you think are coming to an end are still in progress. So we are choosing to follow where He leads. Through much prayer and discussion, our family is adopting!!! It was not even a question of where…Haiti is our second home. Since our three trips to Haiti with our adoption of Wesly, we have begun to travel there every summer on mission trips. We have developed some amazing bonds with the beautiful people of Haiti and feel that we are home! As for this adoption, we are still at the beginning stages! The paperwork is complete…AMEN! Now the hard part begins…waiting….we are waiting to be submitted into the Haiti part of the adoption process. 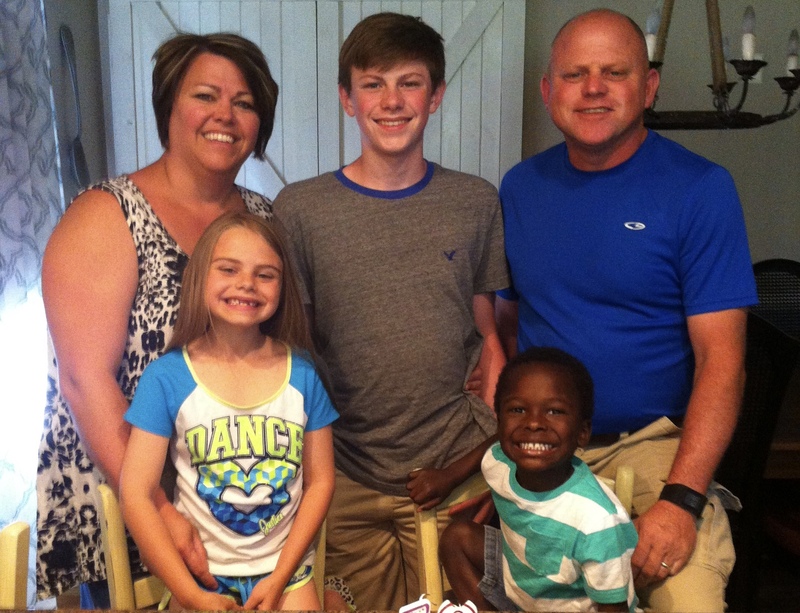 This adoption like the other two is totally up to God. We have not requested a specific gender. We did request a younger child to keep the birth order. Wesly is so excited to be a BIG brother! 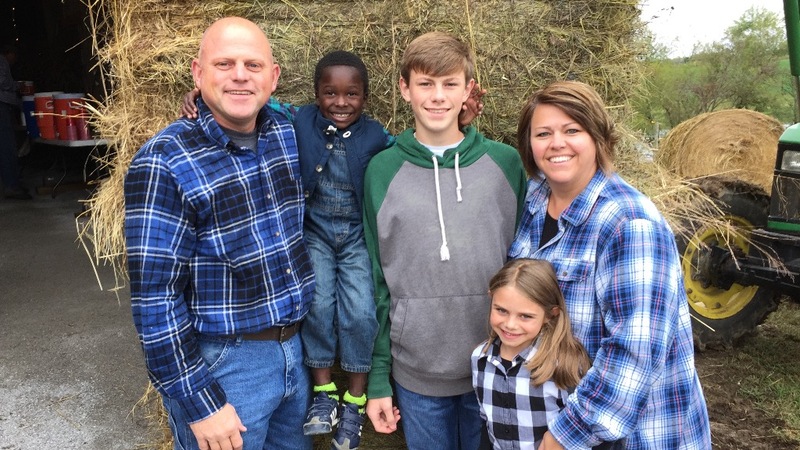 So as I close, we would ask for your prayers as we continue this journey of God’s call and to ask you to consider donating to our adoption fund. Asking for finacial assitance is hard! It is not easy for Scotty and I to ask you to give. However, we have been blessed by receiving a matching grant by the FACES of Hope Tess Fund. This grant will match up to $4,000. This is an incredible gift and we are so very thankful to be the recipients. Thank you for taking the time to read our family story! God has certainly directed our path in a much different way than we would have every imagined….But we wouldn’t want it any other way!! STRIPE charges an online processing fee (2.2% +.30 USD per transaction). Your donations will be decreased by this amount. You may also send a check payable to “Lifesong for Orphans”. In the memo line please write “Simpson 6040″, to ensure it is credited to our account. Please mail to Lifesong for Orphans, PO Box 40, Gridley, IL 61744.